Quite often a home owner’s first experience with a plumbing problem is when a drain in their home backs up. Knowing how your drainage system works and the most common causes of back-up problems with different drain lines can really help you when it comes time to get your drains serviced. This information will make it easier for you to get the right solution to your problem, and make life easier for the plumber who is trying to explain it all to you. Let’s begin with a little plumbing theory. Please keep in mind, that depending on your area, your lay-out may be different. I will give you a simple layout to give you an idea of how drains tie together. Your plumbing may be a bit different, but the theory will be the same. We will start with a 1 bathroom home, for the sake of simplicity. Let’s say that the toilet is at the back of the house. That is the end of your house sewer line. Your toilet will connect straight into that main line (3 or 4 inch), go towards the front of your house, and continue through your front yard and into the street where it ties into the public sewer. Maybe you have a septic system, and the line runs straight to the back of your house where it ties into the septic tank. Either way, the thing to remember here is that your main will usually run from the furthest toilet, as straight as possible, until it reaches whatever it ties into (public sewer, septic tank, etc.). All of your other plumbing fixtures will drain into smaller drainage lines (1 ½”- 2” lines called secondary lines) that tie into the main at different points. Your bathroom sink may tie into your shower line before it goes to the main, or your laundry line tie into your kitchen line, but they all tie into the main. The only plumbing fixture with direct access to the main is the toilet. A 2 bath house is the same, but with more tie-ins. Symptoms – The kitchen sink won’t drain, the laundry stand pipe overflows, or both. The toilet flushes fine without adding to these symptoms. Causes – Laundry and kitchen lines are often tied together. The cause of their backups is usually grease. Grease from pots, pans, dishes, clothes, etc. build up in the line and cause debris to accumulate (food particles, lint, etc.). What you can do – Check to make sure your disposer is functioning. Look outside your kitchen area to see if you have a small cleanout. Look in your garage for a cleanout. Try to determine if multiple fixtures are affected or just one. Clean out the underside of your sink if the kitchen sink is affected. Do NOT use drain cleaning chemicals. They will not dissolve grease related back-ups, even if they can reach them (which is doubtful), and many plumbers will charge you more to clear drain lines with Drano in them. Remedy – If the blockage is in the p-trap under the kitchen sink, the repair is simply a matter of removing the waste lines under the sink and cleaning them out. If not, the plumber must access your drain lines and attempt to cable them clear. I personally recommend that the plumber also treat the line with a degreasing agent and perhaps cable the line a second time, to help get the grease out. This extra step will cost a little more, but will usually at least triple the amount of time it would have otherwise taken to back up again. This should save you money in the long run. Some lines may be so stubborn that they require high pressure jetting to get the grease out. I also recommend visual inspection of the pipes under the home if the plumber feels anything out of the ordinary. Grease is a corrosive and can eat away pipes. You will want to know if that is happening before it creates a lake under your home. Symptoms – Back ups of one or more of these plumbing fixtures without toilet problems. Remedy – You can try chemical drain cleaners here, if you feel bold. They will usually do a decent job of dissolving the hair that is causing these problems. Remember though that these chemicals are not good for your plumbing. They can eat away at your drain lines like crazy. Other than that, clearing these drains is usually pretty straight forward. A plumber may elect to use a degreasing agent if he feels the sludge is really bad to prolong the time between the next back up, but that’s a judgment call. Tubs can be tricky because of the special drain piping they have (called a waste/overflow). Older waste/overflows can be brittle and cabling through them can be all it takes to bust them free and have a leak under your house. It never hurts to have your plumber peak under the house and check it out. Symptoms – Since water always finds the lowest point to escape, a sewer main backup will usually show itself by toilets backing up into the shower or tub. If your tub or shower starts to back up, check your toilets. If they are “burbling” or backing up into the tub or shower, it is the main. We are assuming, of course that they are both on the bottom floor. The rule of thumb here is that if a toilet affects another fixture – it is a main back-up. If you have an outside 3” or 4” cleanout that is holding water or overflowing, that is another sign that it’s your main. 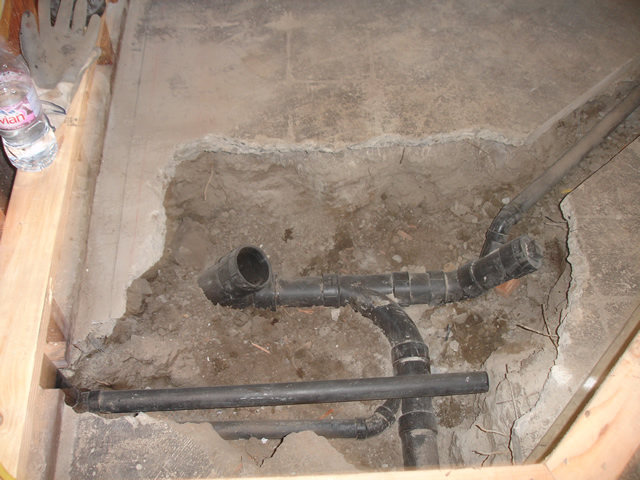 Causes – In my experience, the most common cause of sewer main back-ups are roots. Roots need barely more than a microscopic hole to start growing into your main. From there, they just grow and grow and grow. Roots can be so strong that they can literally break your sewer line up into pieces! Other common causes are “bellies” in the line (flat spots that cause debris to build up), offsets (sections of the line shift under ground and become misaligned), and breaks that actually allow the surrounding soil to enter your pipe. There are other potential causes, but these are the most common. What you can do – The only really productive thing you can do in this situation is check for proper access points. If you can find an outside clean-out that is 3” or 4” in diameter, it will save you and the plumber time. 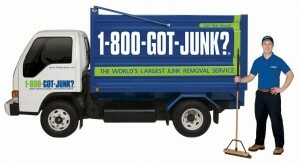 Remedy – This depends upon whether or not you have a cleanout. If you do not, I highly recommend that you install one. There is no such thing as a one time sewer back-up. If your sewer is backing up, it usually means there is a problem with it. There are other ways to access the line, but you are very limited without having a cleanout. Once a cleanout is found or installed, or another access is found (pulling a toilet, etc), the next step is to attempt to free the blockage with a sewer cable. You want your plumber to use the biggest blade possible on his cable to do as thorough a job as possible. If he cannot clear your line with the proper sized blade, the roots are either very strong or you have an offset. If he needs to resort to a smaller blade, so be it, but you need to get the line clear for the next step. Survey the line – Have your plumber run a camera survey of the line to determine its condition. Some plumbers will cable your line and tell you that you need to replace it. That may be true, but you can never know for sure until the line in surveyed. Once the camera survey is done, you will know what to do next. Sometimes the roots are small and you have some time. Sometimes a spot repair will do the trick. Other times it is better to just replace the line. The point is that once a camera survey is done, you will have a better grasp of your options, and it is always best to make informed decisions. While trying to DIY is always a sound idea, sometimes a 4 AM toilet or drain problem can best be solved by calling a company like this emergency plumber Toronto service. They’ll show up any time of the day or night and tackle the situation right away. Well, I think I cover most of it here. If you feel I missed something, please feel free to leave a comment or sign up to the plumbing forum and post your questions there. Good Afternoon!!! 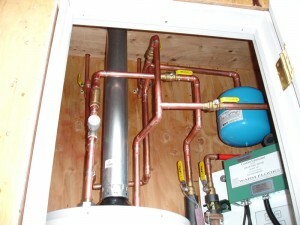 plumbinginfo.org is one of the most excellent resourceful websites of its kind. I take advantage of reading it every day. All the best. I feel like to express my appreciation of your writing skill and capability to make reader to read the while thing to the end. I feel like to read more of your blogs and to distribute my outlook with you. I will be your frequent visitor, that is for sure. I found you through google and I gotta say that I really appreciate your articles and the time you take to write these posts. Im going to call in a plumber soon and I definitely feel better prepared after reading this. Thanks this made for interesting reading. I like your wordpress theme! I would strongly recommend that you clean out your shower drains at least quarterly. This will eliminate the slow draining problem, and hopefully, prevent the larger pieces of hair and debris from getting into the drain at all. This is usually a very simple process that any homeowner can do. If you have a sewer main back-up, I would highly encourage you to get a plumber involved as it can be very nasty work! We live in Florida. In a home that is 44 years old. Over the years we started clearing our main line as several of the plumbers would come and tear the shrubbery and just be over all rough with indoor lines. So now we rent a 100ft snake from our neighborhood home Depot and do it ourselves. Lately it has been happening more frequent that we need to clear the drain and while we have a easy outside clean out we are concerned. We have a lot of trees on our property but he said only once did he get roots on the the end of the root cutting blade. We use a power snake and are slow and careful but we are wondering if we are missing something or would it be a problem at the street? Thank you! Hope you can shed any light on this situation. Hi Catrina. What you are describing is a very common complaint. In fact, I just recently wrote an article specifically addressing sewer main back-ups. You can find the article here: http://plumbinginfo.org/sewer-main-replacement/. In the mean time, let me put it this way – what happens when you prune a bush or a tree? It actually grows back faster, and the base gets thicker. Every time you run a cable down your line, you are pruning the roots. They grow back thicker and faster. During that process, they also create a bigger “hole” in the sewer line for even more roots to get in. Every single sewer line that suffers from root intrusion will continue to have problems at a rate that increases exponentially in both frequency and severity, until a repair is made to the problem area. In other words; what you are experiencing is 100% normal for a root problem. In response to your other concerns: if the sewer drains after running your cable, you are hitting the problem area. Not to say that there aren’t more down the line, but if there are, they are not contributing to the problem at hand. Also, roots will not always be on the end of the blade upon clearing a root blockage. If you consider that 4″ pipe holds a gallon of water for every two feet, and the average blockage is approximately 50′ from the closest access, there is about 25 gallons of water (on average) sitting behind the blockage, that is suddenly released upon the main clearing. That is 175 lbs of water trying to wash the roots off the blade. Most of the time, the roots are just washed away once the line has been cleared. So, a lot of info here, but the point is that you should get a camera survey done. That way there is no more guessing and wondering. Good luck!